Recently, House Republicans passed H.R. 1734, the so called Improving Coal Combustion Residuals Regulation Act of 2015, a direct attack on public health and the environment. This bill undermines important health protections in EPA’s final coal ash rule from last December by delaying implementation of coal ash disposal restrictions, letting utilities avoid publicly posting contamination data and allowing companies to continue dumping coal ash into leaking surface impounds for as many as eight years after contamination is documented. It enables harmful substances to remain in contact with aquifers, wetlands, and in seismic impact zones with serious implications for cleanup requirements, transparency, and groundwater protection standards. The unsafe and unregulated disposal of coal ash is a critical risk to our health and our environment. Toxic materials in coal ash seep into our groundwater, our drinking water, and even the air we breathe. In the thirty five years since Congress passed the Resource Reuse and Recovery Act (RCRA), the EPA has been studying coal ash disposal. Last December’s finalized rule strengthens necessary regulations, reducing the risk of future disasters like the Kingston coal ash slurry spill of 2008. This should not be a political issue. Arsenic, lead and mercury – substances found in coal ash – do not ask how you voted in the last election before causing harm. Limiting restrictions on the vicinity of coal ash impoundments relative to drinking water sources is an idea based in science. The EPA’s mission is to enhance public health and work with business to find creative ways for the private sector to work with regulators, spurring innovation and job creation while we make our country a little bit better for the next generation. H.R. 1734 would undermine that mission, endangering public health in the process. Do the EPA's coal ash regulations strike the right balance to protect health and safety? Are there other ways of dealing with the coal ash issue that would be preferable? Do the EPA’s coal ash regulations strike the right balance to protect health and safety? EPA’s final rule went to great lengths to satisfy the requests of utilities, states and recyclers. EPA finalized the weakest proposed regulatory option and specifically adopted numerous recommendations offered by these interest groups. Pursuant to their requests, the EPA rule: (1) Regulates coal ash as a non-hazardous solid waste under subtitle D of RCRA; (2) Encourages states to establish their own coal ash management programs; (3) Prohibits EPA enforcement and limits EPA oversight; (4) Promotes coal ash recycling by exempting beneficial uses of coal ash from regulation; (5) Provides utilities with an extended timeframe to close non-complying dumps (in some cases up to 14 years); and (6) Allows utilities to continue to use unlined ponds for the disposal of coal ash and wastewater. While the final EPA rule takes critical steps to protect human health and the environment, its provisions could have been more stringent to ensure a swifter transition to safer dry disposal. Are there other ways of dealing with the coal ash issue that would be preferable? Regulation of coal ash as a hazardous waste under subtitle C of RCRA would provide greater protection to communities by giving EPA enforcement authority and greater oversight, as well as requiring phase out of the most dangerous form of ash disposal— wet disposal in surface impoundments. Regulation under subtitle C would also have provided a greater incentive to safely recycle coal ash and would have discouraged sham beneficial uses, such as fill projects, that can contaminate water supplies. The forthcoming Effluent Limitation Guidelines (ELG) rule should address the issue of disposal in surface impoundments. EPA has repeatedly indicated that the CCR and ELG rules will be aligned to address the concerns with wet disposal. How toxic is coal ash? It depends on who you are talking to, which contaminants you are discussing and whether they have established levels of ‘allowable’ discharges, and on who is doing the measuring with what instruments. It also depends in some measure on the coal itself and the type of soil where it is stored. In the past the industry has claimed ‘no problem’, coal ash is just dirt. They sold Virginia on building a golf course with 1.5 million tons of the stuff. Another development, this one in PA, promoted ‘lakeside lots’ at Little Blue Run, with boating available, at what is now the largest coal ash pond in the country. The principle thing we definitively know is that coal ash must be kept away from our water sources. Unregulated coal ash has left a trail of contamination, seeping or flooding into nearby water sources, and causing measurable toxicity when it meets a water source of any kind. With no coal ash regulations citizen lawsuits, backed by independent analysis, have been the primary means of addressing that contamination. The suits at that VA golf course are still ongoing. Coal Ash has been linked to 189 cases of water contamination in 35 states. In Florida, groundwater contamination has continued, in one case, for over 20 years. North Carolina has had to restrict fish consumption in the face of coal ash pollution of lakes and reservoirs. At the Ohio River, the water source for 3 million people, it took hidden cameras to reveal the illegal coal ash dumping by the St Louis Gas and Electric Company. Concentrations of arsenic, a known carcinogen, were found in the groundwater at levels as high as 30 times the state standard at a Dominion Power site on the Southern Branch of the Elizabeth River and Deep Creek in NC. Other parts of House bill 1734 raise problems. Removing the discharge publication requirements will leave communities with the possibility of having to buy and hang more ‘spy’ cameras from trees. New standards are being developed for vanadium and hexavalent chromium, both considered quite toxic. New testing processes for leachate need to be verified. All this new science would be disallowed by HB1734. The growth of renewable energy set a record with 135 gigawatts (GW) in 2014. Given our global renewable future, a fight to continue deny the need for comprehensive regulation of Coal Ash storage is to court disaster. Certainly coal ash pits can be built with the same care we use to build our landfills. Personally I would prefer more, not less, care than the new rules require. Thank you Congressman Tonko for hosting this discussion about a very important topic. As you know from the hearings on this issue, many state departments of environmental protection and other regulatory experts have voiced concerns with the self-implementing nature of EPA’s final rule. Under RCRA, EPA does not have regulatory authority to direct the states to develop a permit program for coal combustion residuals (CCR). H.R. 1734 and a similar bill in the Senate seek to fix this problem, directing states to develop a CCR permitting program that implements requirements that are at least as stringent as those in the final EPA rule and provides EPA with direct enforcement authority. Let me repeat that for those who are unfamiliar with this topic – the bill requires states to implement a permit program with the same disposal facility design criteria and structural standards as the final EPA rule. The legislation also requires groundwater monitoring, corrective action, location restrictions and closure requirements for coal ash disposal units. The bill does not relieve a facility of its obligation to clean up coal ash releases, does not allow unlined leaking impoundments to continue to operate without immediate measures to protect public health and the environment, and actually corrects an unintended consequence of the final EPA rule that delays implementation of immediate steps that would have to be taken to address surface water releases. State regulators and policy experts have testified that they believe the EPA technical standards for disposal facilities are protective of human health and the environment, and are appropriate. They have also testified that a major problem with EPA’s rule lies in enforcement authority, which is why these experts (not just the utilities) support the legislation. Under the EPA rule, states are NOT required to issue permits, and enforcement authority lies solely with citizen suits. This is neither an effective nor efficient mechanism for enforcement. However, it is important to note that the bill preserves the right to file citizen suits. Congressman Tonko notes that “in the thirty five years since Congress has passed the Resource Conservation and Recovery Act (RCRA), EPA has been studying coal ash disposal.” And during the course of those 35 years, in several regulatory determinations EPA has found that CCRs do not warrant regulation as a hazardous waste. As such, regulation under Subtitle D of RCRA is appropriate and is widely supported by many different stakeholders, not just the utilities that have coal power plants. Legislation to fix the regulatory issues that constrained EPA under RCRA to enforce the adoption of permit programs is a reasonable approach. I couldn’t agree more with Rep. Tonko, that the action by House members to undermine public knowledge of contamination of water and soil is just bad public policy. It is ironic that the very same members say repeatedly “coal use is safe” and at the same time undercut public knowledge of any pollution problems. Hmmm. But the trend to legislate what the public can see has been growing across-the-board at the federal and state levels which includes food labeling, energy accidents, and environmental degradation and pollution. This is absolutely the wrong trend for the United States of America, which prides itself in transparency and freedom of information to foster an informed public. A few hours before dawn on Dec. 22, 2008, the walls of a dam holding 1.1 billion gallons of coal ash crumbled, spilling the toxic concoction into the town of Kingston, Tenn., and creating the largest industrial spill in U.S. history. (reported by http://www.mnn.com/earth-matters/wilderness-resources/photos/americas-10-worst-man-made-environmental-disasters/americas-10-worst-man-made-environmental-disasters-0#ixzz3hsTsGh98). They go on to say, “The ash had been stored at the nearby Tennessee Valley Authority coal power plant and contained a decade’s worth of arsenic, selenium, lead and radioactive materials. These metals can cause cancer, liver damage, neurological disorders and other health problems, but the EPA doesn’t classify coal ash as a hazardous material. As workers in Hazmat suits picked through the sludge, Kingston residents were told the ash didn’t present a serious health risk. A Duke University study revealed that toxic elements in the coal ash could be suspended in the air, posing a serious health risk. The study also said that the coal ash contaminated waters and that accumulation of toxins in river sediment could poison fish. Residents have reported numerous health problems — headaches, respiratory problems and seizures, among others — and scientists have found high levels of toxins in the tissues of fish in the Tennessee, Clinch and Emory rivers.”. State and local regulators would not let any professionals test the waters at the time, leaving the public in the dark. Thank you Congressman Tonko for hosing this discussion about coal ash. The EPA’s Clean Power Plan is about the exhaust – the waste – of combusted coal. Since the 1800’s coal has been combusted in electricity generating power plants. The heat would be utilized to generate steam, and the balance of the combusted coal would be considered “a part of the process” and would be dumped or vented into the atmosphere. There is not a lot of difference between now and then. There has been in the past legislation that has dealt with some of the other elements in the combusted exhaust that has been quite successful. We have been watching this coal ash situation for the past number of years and determined that what was needed was to give this combusted coal exhaust a Purpose. Waste is not a waste if it has a purpose. 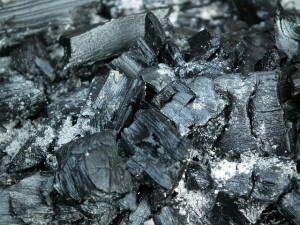 The first item to be dealt with in combusted coal is the ash. We have tried a number of times to connect with the American Coal Ash Association. Still waiting for a reply. As they say “the more heads working together, the greater the ideas that can be generated”. Coal ash has been given a purpose. There are many applications for this coal ash where it can be transformed and used efficiently. 1) It can be used at sewage treatment plants to treat sewage sludge as it is neural to bio activity. 2) It can be used in wild fire – fire fighting as it is a great fire retardant as it does not evaporate. It can be turned into fire bricks. 3) It has great insulating properties. 4) Blanketing waste fill sites with ash will kill the methane producing organisms and prevents flies and maggots from breeding. 5) There is a formula and a process to use this ash to line the insides of old water and sewer and oil and gas pipelines. 6) It can be used in the process of producing concrete. Combusted coal exhaust can be good for America’s Economy and Not bad for our Environment. I look forward to hearing from others in this group for other applications for coal ash. By John Ward President, John Ward Inc.
Americans benefit from robust conversations about coal ash disposal and the best ways to manage it. Unfortunately, those conversations all too often degenerate into attacks on “toxic coal ash” that demonize the material and interfere with the best coal ash management strategy of all – beneficially using the ash instead of disposing it in the first place. EPA’s recent six-year coal ash rulemaking was primarily a debate over who should enforce new disposal standards. EPA presented both hazardous (Subtitle C) and non-hazardous (Subtitle D) approaches. Notably, the landfill engineering standards presented in both proposals were essentially the same. You wouldn’t get a better landfill under EPA’s hazardous proposal, just a different enforcer of the rules. That’s what the coal ash debate was really all about: who gets to enforce the rules. Under a Subtitle C hazardous waste program, the federal government would have direct enforcement authority. Under a Subtitle D non-hazardous waste program, the standards are “self-implementing” and enforced by citizen lawsuits. EPA chose correctly when it selected the Subtitle D option. That is the regulatory approach available to the Agency that 35 years of science and study supports and that is the approach that protects a recycling market that safely utilizes more than 40 percent of coal ash so that it doesn’t get stockpiled near rivers and other sensitive areas. But the Subtitle D non-hazardous option also leaves us with a regulation that is self-implementing and requires citizen groups and a patchwork of courts to become EPA’s enforcement arm. HR 1734 is primarily designed to fix the enforcement authority problem by requiring professional state departments of environmental protection to create permit programs and enforce them using the minimum federal standards EPA itself created. The bill also expands EPA’s authority to step in if states don’t do the job. The bill is not a rollback of environmental protections. In fact, in some cases (such as requiring financial assurances) the bill goes further than EPA could accomplish under its existing Subtitle D authority. By the way, shifting enforcement authority to the states does not remove the rights of citizen groups to sue if coal ash disposal practices cause harm. Citizens’ rights to sue are absolutely preserved. But HR 1734 shifts the responsibility for policing America’s coal ash disposal sites to state agencies with experience and resources to handle the job. Another important benefit of HR 1734 is that it would create regulatory certainty that coal ash is not a “hazardous waste.” EPA has made final decisions before only to reverse course in the future. A “hazardous vs. non-hazardous” debate occurred prior to the Agency’s 2000 Final Regulatory Determination – which eight years later turned out to be not so final. Additionally, the 2015 Final Rule’s preamble holds open the possibility of revisiting the controversy yet again in the future. Regulatory certainty is of utmost importance to coal ash recycling markets. In 2000, when the “Final” Regulatory Determination was issued during the Clinton Administration, the ash recycling rate stood at 29.5 percent. With regulatory certainty that encouraged investment in recycling rather than disposal, that recycling rate soared to 44.5 percent in 2008. As the regulatory debate reignited in 2009, recycling stalled. The greatest irony of the lengthy debate over coal ash disposal regulations is that the debate itself caused more ash to be disposed. If the past five years had simply remained equal with 2008’s utilization, we would have seen 26.4 million tons less coal ash deposited in landfills and impoundments. The best solution to coal ash disposal problems is to quit throwing coal ash away. The best discussions about coal ash disposal regulations are those that focus on creating effective enforcement mechanisms instead of launching diatribes against the “dangers” of coal ash. Leachate from ash ponds need not be cause for concern if some beneficial use for coal ash could be found, so it would no longer be impounded. High-g centrifugal fly ash and mercury capture http://www.freepatentsonline.com/7901485.html followed by radial extrusion and sintering in a Shear Retort http://www.freepatentsonline.com/9011646.html would produce sintered ash bricks. Thanks for initiating this forum to discuss coal ash. I am a research scientist and a career federal employee (USFWS and USFS) with 40 years of research experience and publication on coal ash impacts on fish and wildlife. I have investigated dozens of coal ash environmental damage cases across the nation. Regarding your questions: (1) Do the EPA’s coal ash regulations strike the right balance to protect health and safety? NO, they do not protect fish and wildlife and neither does HR 1734. This is because both allow use of surface impoundment disposal, which produces toxic wastewater…..the cause of poisoning in 1975 and 2015…..nothing meaningful has changed in coal ash disposal or toxicity to fish and wildlife. There are hundreds of those impoundments now, and EPA’s rules and HR 1734 would allow even more. (2) Are there other ways of dealing with the coal ash issue that would be preferable? YES, eliminate surface impoundment coal ash disposal…..that is the only prudent way to protect fish and wildlife from coal ash poisoning on a local, state, regional, and national level. Thanks for the opportunity to comment. I would be glad to provide publications and additional commentary (copies of expert testimony to EPA, etc.) if that would be helpful. You and staff can contact me at dlemly@fs.fed.us…or lemlyad@wfu.edu.